Dry shrimp well with a paper towel then place the shrimp in the food processor along with jalapeño and garlic then pulse a few times until almost pasty. 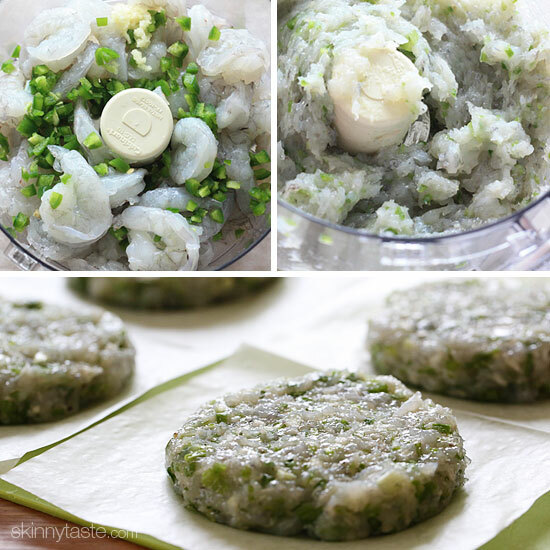 Using rubber gloves (easier with gloves), form shrimp into 4 patties. Heat a non-stick skillet over medium heat and spray with oil. 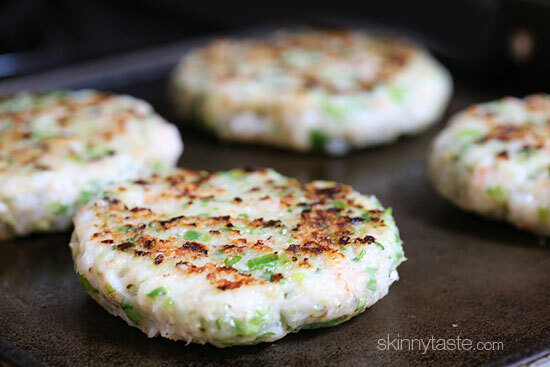 Add the shrimp cakes to the heated grill and cook 4 minutes without disturbing, then gently flip and cook an additional 4 minutes. Serve with fresh lime juice and top with thin slices of avocado.